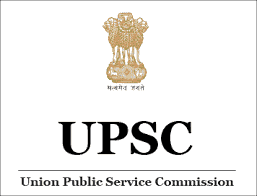 UPSC Recruitment Notification 2019.Union Public Service Commission, UPSC inviting applications for the positions of Indian Economic Service/ Indian Statistical Service Examination 2019.Interested and Eligible candidates can apply for the positions. 3. Physical Standards : Candidates must be physically fit according to physical standard for admission to Indian Economic Service/Indian Statistical Service Examination, 2019 as per Regulations given of the rules for the Indian Economic Service/Indian Statistical Service Examination, 2019 published in Gazette of India dated 20th March, 2019. Age: A candidate must have attained the age of 21 years and must not have attained the age of 30 years on 1st August, 2019 i.e he/she must have been born not earlier than 2nd August, 1989 and not later than 1st August, 1998. Application Fee: Candidates (excepting Female/SC/ST/Persons with Benchmark Disability Candidates who are exempted from payment of fee) are required to pay fee of Rs. 200/- (Rupees Two Hundred only) either by remitting the money in any Branch of State Bank of India or by using Visa/Master/RuPay Credit/Debit Card or by using Internet Banking of SBI. Applicants who opt for "Pay by Cash" mode should print the system generated Pay-in-slip during part II registration and deposit the fee at the counter of SBI Branch on the next working day only. 1. The Online Applications can be filled upto 16th April, 2019 till 18.00 Hours.. Candidates are required to apply online only by using the website https//www.upsconline.nic.in Brief instructions for filling up the online Application Form have been given. (I) The Online Applications can be filled up to 16th April, 2019 till 18.00 Hours. (II) The online Applications can be withdrawn from 23.04.2019 to 30.04.2019 till 6.00 PM.